BACK IN MARCH, Eisner-nominated artist Eleanor Davis created a beguiling animated Google Doodle to celebrate the budding Spring Equinox. 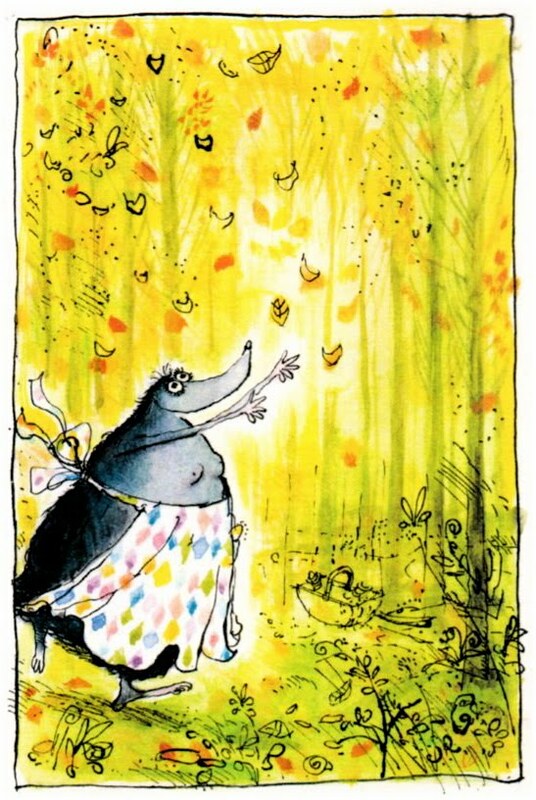 The watering of the letters in “Google” by a “blob lady” resulted in the blooming Doodle, Davis told The Post’s Comic Riffs. “I’m super-tickled to have another Doodle drop!” Davis — who appeared at Small Press Expo this month with her new book, “How to Be Happy” — tells Comic Riffs today. The Doodle falls on the autumnal “equinox,” or “equal night,” when Earth’s days and nights are of roughly equal length, as the planet’s axis tilts not toward, or away from, the sun. The Doodle summons thoughts of other artists who have created sublime cartoons and illustrations in autumnal tones and themes, including Ronald Searle, Bill Watterson, Charles Schulz and Eric Drooker. So brilliant, THIS, I almost have to don sunglasses.